Florida Gators vs Arkansas Razorbacks. Gainesville, FL. October 5th, 2013. 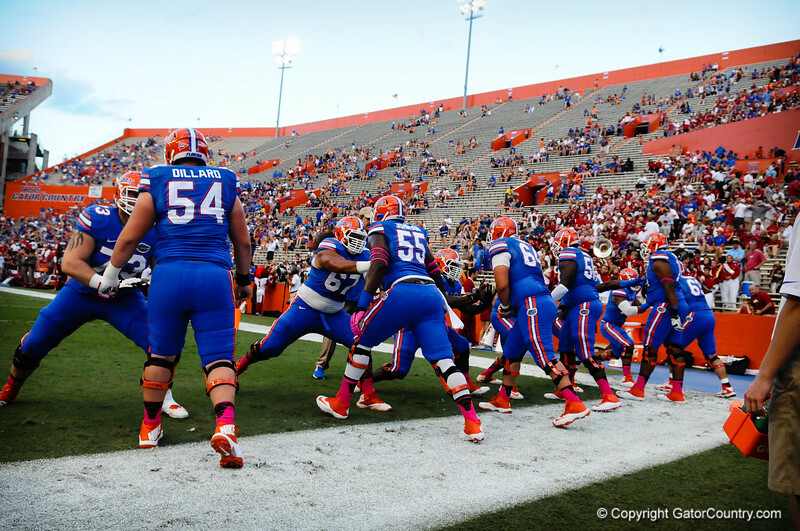 The Florida Gator offensive line warm up prior to the start of the Arkansas Game. Florida vs Arkansas; Gainesville, FL; Oct 5th, 2013.